As the weather turns chilly, improve your home’s comfort, and save energy and money all while doing a good thing for the environment. By using energy efficiently at home, you not only lower your energy bills, but prevent air pollution too. Here are ways to save, offered by the ENERGY STAR program at the U.S. Environmental Protection Agency. 1. Know the Facts – The average family spends $1,500 a year on energy bills, with nearly half of that spent on heating and cooling. Energy-efficient heating and cooling equipment, installed alongside a well-sealed duct system, can save as much as 20 percent on annual energy costs. 2. Keep it Clean – A dirty air filter can increase your energy costs and lead to early equipment failure. Clean or change the air filter in your heating and cooling system regularly. Also, have your equipment checked seasonally to make sure it’s operating efficiently and safely – check-ups can identify problems early. Dirt and neglect are the #1 causes of system failure. can save up to 10 percent in energy costs. Start by sealing air leaks and adding insulation, while paying special attention to your attic and basement, where the biggest gaps and cracks are often found. If replacing windows, choose ENERGY STAR qualified ones. 4. Tighten Your Ducts – If you have a forced air furnace or heat pump, then a duct system is responsible for circulating warm air throughout your home. Leaky ducts can reduce your system’s overall efficiency by 20 percent, causing your equipment to work harder than necessary to keep you comfortable. 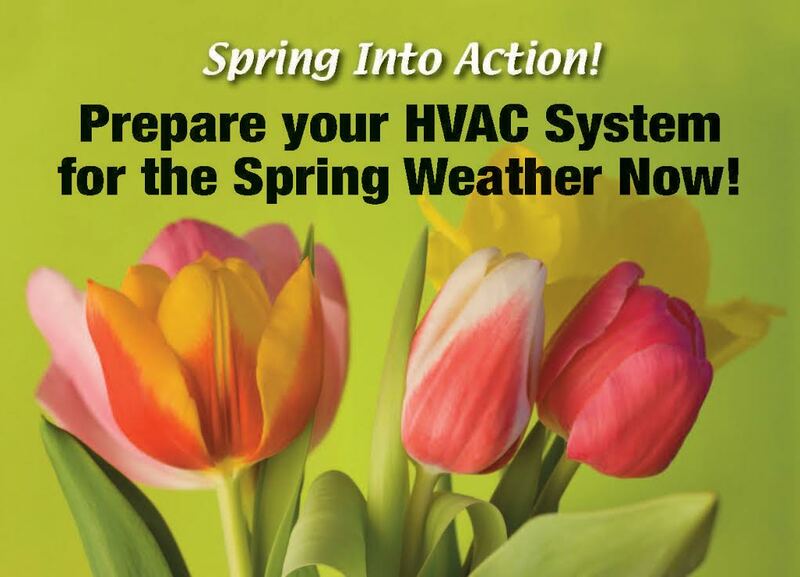 Ask your HVAC contractor about improving your ducts. 5. Don’t Oversize – When replacing old equipment, make sure your new equipment is properly sized for your home. An oversized system will cost more to buy and operate and will cycle on and off too frequently, reducing your comfort and leading to early system failures and repair costs. Correct sizing will ensure that your equipment works efficiently. Make sure your HVAC contractor uses Manual J or an equivalent sizing tool to determine what’s right for your home. 6. Consult a Professional – Find an experienced, licensed contractor before embarking on any heating and cooling overhaul. Visit http://www.natex.orq to find a contractor whose technicians are certified by NATE (North American Technician Excellence), the leading industry-supported testing and certification program. Furnaces – Old furnaces cost more to operate per year than new, ENERGY STAR qualified models that are 15 percent more efficient than standard models. Boilers – An ENERGY STAR qualified boiler uses features like electric ignition and new combustion technologies that extract more heat from the same amount of fuel, to be seven percent more energy-efficient. Heat Pumps – When installed in a home with a well-sealed envelope, heat pumps provide great value and comfort for your energy dollar. An ENERGY STAR qualified geothermal heat pump is 30 percent more efficient than comparable new equipment and can save you as much as $400 annually. A qualified electric heat pump is 20 percent more efficient. Programmable Thermostats – Regulate your home’s temperature with four programmable settings and you can save about $100 annually on your energy bills. Is Your HVAC System Under Warranty? Warranties give most of us peace of mind when making a big purchase like a car, a home – even on an air conditioner. Let’s face it, your HVAC system is no small investment. But – same as a warranty on your car – lack of maintenance could is one major factor that could jeopardize your warranty. If you don’t have documentation that your system has been maintained according to manufacturer’s requirements, your necessary repairs may not be covered. This is especially true regarding home and extended warranties. Another factor are parts ordered from the internet. Don’t do it! Only order parts and have them installed through a licensed contractor. Saving a few dollars on a part may void the entire warranty. Lastly – keep a proof of purchase near the owners manual and warranty information so you can’t misplace it. Proof of purchase may be required if your system needs a repair done under warranty, and your current service provider did not install the job. Keep in mind, new systems must be installed by a licensed HVAC contractor – or the warranty for the entire system could also be null and void. We are always hear for any questions you have. Before altering anything on your system, give us a call at 770-253-2665 – we can help! You may have noticed that some rooms will occasionally be hotter or cooler than others. Your upstairs bedroom may take longer to cool in the summer, or the kitchen may be chillier in the winter. While the laws of nature (and the law of teenagers taking long showers) may be out of your control, you can use your home’s ventilation system to improve the situation. By adjusting or closing registers that are too cool in summer or too warm in the winter, you can divert conditioned air to rooms where you need it the most. By making the laws of nature work for you, you should be able to achieve even, comfortable temperatures in every room of your home. If that does not do the trick, there may be some ventilation issues at play that deserve a closer look. To schedule an appointment for our NATE certified service technician to come out, click here and get 10% off! Preventative maintenance for your air conditioner is important. Inspecting the system to check for problems before they grow into major air conditioner malfunctions can save hundreds of dollars and periodic preventative maintenance for your air conditioner is a great way to accomplish that. Semi-annual preventative maintenance, or annual preventative maintenance, for your air conditioner by Progressive Heating & Air can go a long way in ensuring the effective operation of your air conditioner. Progressive Heating & Air’s Preventative Maintenance Program will keep your air conditioner running at its peak performance and efficiency. Inadequate preventative maintenance for your air conditioner is one of the chief causes of air conditioner malfunctions, poor performance and inefficiency. Like an automobile needs inexpensive periodic preventative maintenance to keep it running and to avoid costly repairs, your air conditioner requires periodic preventative maintenance. Neglecting preventative maintenance for your air conditioner may lead to a steady decline in the air conditioner’s performance as well as increased energy consumption and costs. 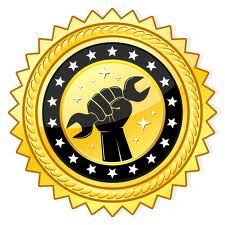 It is also important to point out that maintenance is required to keep your equipments warranties in good standing. For more information about our service and what it covers, go here. Give us a call, or schedule an appointment for maintenance here. When you think of taking care of an aging parent or friend, the first thing that may come to mind is helping with meals, errands, doctors visits, etc. Those that have stepped into the shoes of being a caretaker understand that there is a lot more to it – you take on the responsibility of home maintenance and repairs – and specifically, the air conditioning system. According to the Center for Disease Control, about 400 Americans die each year to heat related conditions, and nearly half f them are elderly. They are at greater risk for heat stress or stroke risk due to several factors. Their bodies do not adjust as easily to sudden changes in temperature. They are more likely to have medical conditions such as heart, lung and kidney disease. Other medical issues that increase their risk are high blood pressure and diabetes. They may take medications that render them more susceptible to the heat. Some medications are known to inhibit perspiration which leaves them even more vulnerable in hot weather. Age related dementia – they may simply forget to turn on the air conditioning, or may not realize if it is not functioning properly. Isolation – some may not have friends or family members who check in on them regularly. 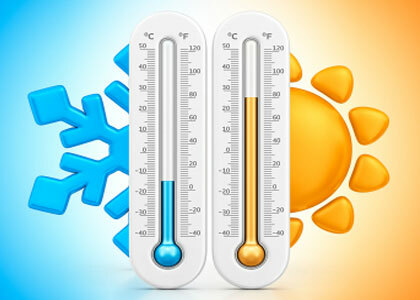 Cost – being on fixed incomes, some seniors may be reluctant to use the air conditioning, believing that the use of electric fans will be sufficient – and they are not. While possibly providing a breeze, they do nothing to eliminate the extreme humidity we face in Georgia. The fact is, heat related illness and deaths are 100% preventable; and according to the CDC, air conditioning is the number one protective factor against heat related illness and death. So – making sure air conditioning systems are in good working order before the summer sets in order should be a top priority.